This is definitely the best book in the series so far. The third story mixes all the action of the first two books with the emotional depth and relationship magic I’ve loved in all my favourite Scarlett Cole books. It’s a powerful combination and I couldn’t put this book down. Cabe is a brilliant main character. He’s a bit quieter and possibly a bit more abrasive than Six and Mac but there are many layers to the complicated man. I think his grief is handled well and I love the respect he has for Amy as a professional and a partner. FBI agent Amy is the first woman in this series whose skill set allows her to keep up with the former SEALs. She is smart and fierce, and I enjoyed the complexity of the decisions she has to make while undercover. The relationship between Cabe and Amy is electric but also frustratingly slow at times. Cabe’s grief and their current undercover work makes personal moments difficult. In some ways, I think the constraints on the relationship make it more exciting and the trust that builds between Cabe and Amy as they work together is wonderfully intimate. These two work together on so many levels and I loved the chemistry between them. Much of this story focuses on the casino where Amy and Cabe go undercover and I really enjoyed the change of setting and the new focus on money laundering, gangsters, and human trafficking. The plot is complicated and carefully constructed. This is an exciting, suspenseful read and I really loved it. Cabe is a military man through and through. Just because he is now in a more private sector doesn't mean he can turn it off. Cabe's brothers have seen him through his worst times. When an unexpected loss occurs in his life, Cabe goes through the motions but doesn't really live. Amy is starting over in a new town. After having to leave her previous position due to circumstances out of her control, she wants to prove herself and knows that there are missing women whom she can help. Working in the FBI is a dream job for her. She has her own trauma in her past that helped her decide that the FBI was her goal. When Amy and Cabe are thrown together on an op, it will take their smarts and attraction to new heights. Can Cabe put aside his past and really let Amy in and can Amy trust in a relationship? The mystery aspect was okay. I thought that it could have been played out a little more. I think, for me, the resolution was too quick and tidy on both the mystery end and the relationship end. There was not a ton of heat, for me, between the characters – it was forced chemistry. This story had the potential to be super intriguing, but for me, it fell a little short. I’m a big fan of a couple of Scarlett Cole’s other series, so when presented with the opportunity to read one from the Love Over Duty series I jumped at the chance. It’s very well written and is a fierce romance between two well developed characters, who I loved! I would say that though I’ve read this as a standalone, it wasn’t easy to follow the first few chapters as they reference previous books a lot. Cabe Moss works for a security company that has been called in to work a joint case with the FBI at a casino outside Vegas. Amy Murray is the FBI agent who has been assigned the case, she’s relatively new to the area, as she’s just transferred from out East because of a sexual harassment issue. Now, she’s determined to prove herself with her first case. The attraction between Cabe and Amy is immediate – it actually begins the night before they’re professionally introduced to one another. Things are heated between them, but Amy isn’t willing to chance risking her reputation at her new office to pursue things. On the flip side, Cabe is battling demons from his past and isn’t in an emotional position to start things with Amy. This is just an all-around fast-paced book, Amy jumps right in to working undercover at the casino to try to catch not only a money launderer but also help with a few missing persons cases. Cabe struggles to keep things professional, especially when it comes to allowing Amy’s handsy new boss to be within a close proximity to her. I enjoyed that the two don’t immediately jump into bed together – we get a lot of buildup and it keeps the book moving right along. I also enjoyed the glimpses of the other men on the security team that we get, their personalities shine through and I look forward to reading more from this series. This is the third book in the series, and I highly recommend that you read them in order – we are following the lives of a group of friends and each book builds on the previous one with regards to underlying plots, and each romance continues in the next book. And I have to say, if you have not read any of them yet, then you are in for a real treat! Scarlett Cole has a real talent for setting up a tense situation! I had to stop a few times and catch my breath, remind myself that it would all work out in the end, and read on. There are also a lot of twists and turns, and events which build on the previous books – luckily there are plenty of reminders and links which help the reader to keep up. I love the fast pace, the roles which the men take, and the teamwork which stretches across the different purposes of the mission. Thanks to Six and Mac having been down the route already, they are wonderfully supportive and teasing of Cabe as he realises how important Amy really is to him. They are both damaged by their pasts, but recognise the importance of the future for them as a couple. In such an intense case, their moments of privacy are insufficient, but essential. There is some lovely humour too, which defuses the seriousness of their work roles – cake tasting and the other wedding preparation tasks that the alpha men take on for Six and Lou. Great fun! This really is an excellent read, and I can't wait for another! 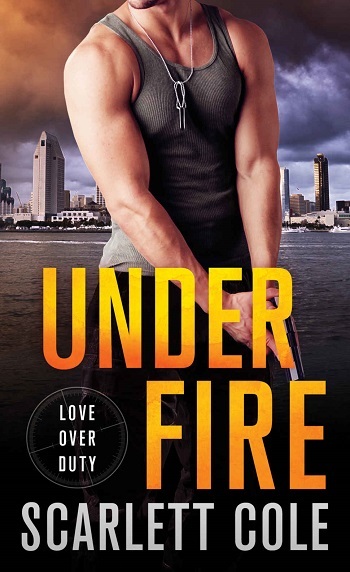 For reviews & more info, check out our Under Fire post. 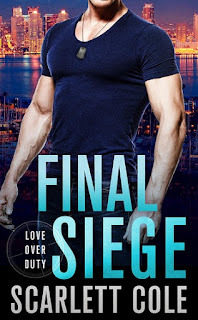 For reviews & more info, check out our Final Siege post. 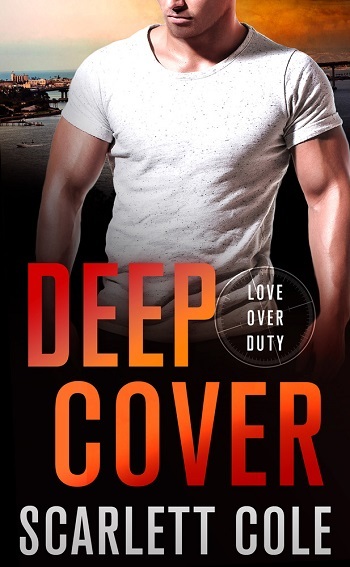 Reviewers on the Wicked Reads Review Team were provided a free copy of Deep Cover (Love Over Duty #3) by Scarlett Cole to read and review.